That’s the hot question in the mind of just about every indie musician on the planet. And with good reason. There are plenty of inspiring stories of musicians who got one song on a crazy-popular playlist and can now pay all their bills with their Spotify checks. 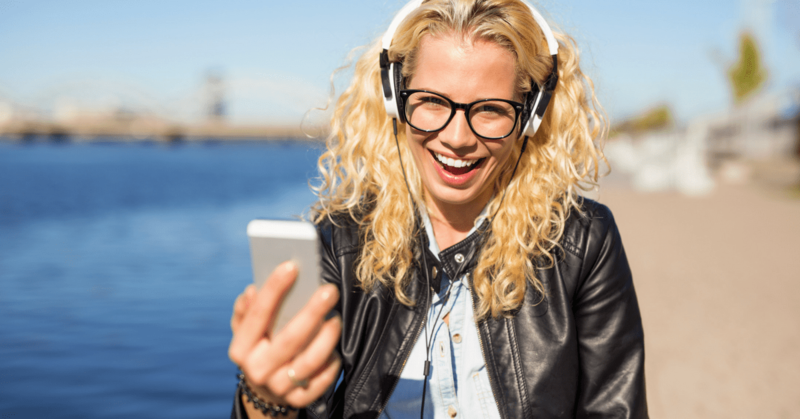 It can definitely be the best way to get your music heard if you can get on a popular playlist. So – how to get on spotify playlists? Every time your song is streamed on Spotify you make a fraction of a cent. If you’re just getting a few streams a day from your fans, those payouts can be seriously underwhelming. But if your song gets thrown on a top Spotify playlist with thousands of daily listeners, those cents can really add up. So today we’re going to show you how it’s done, walk you through how the Spotify playlist system is set up, give you some ideas that could make your songs more appealing to those mysterious Spotify playlist curators, and show you once and for all how to get your music on Spotify playlists. I want to get this out of the way right up front – there’s no way to game the system here. It’s going to take a lot of hard work on your part to build up your Spotify plays, listenership, and credibility. And it’s probably going to take some time. Just like other platforms, Spotify has an algorithm that rewards artists who spend a lot of time on and put a lot of energy into the platform. On top of that, the quality needs to be there. If you want your songs to stand next to some of the world’s best tracks on playlists with millions of followers, your song needs to sound the part. Make sure you’re A/Bing your songs to ensure you’re hitting the production quality. On Spotify, not all playlists are created equal. The most popular Spotify playlists are extremely competitive and usually owned and curated by either Spotify or a major label. Companies or indie labels own some playlists, and individuals like you and me own the rest. In most cases, you’re going to have to work you way up the ladder. So let’s go through the pyramid one by one. Spotify-curated playlists are at the top of the pyramid. Some of these playlists (like Coffee Break, undercurrents, and Global Funk) are smaller and more niche with tens of thousands of followers. While the top Spotify playlists like Rap Caviar, Are & Be, and Today’s Top Hits have upwards of a million followers. A lot of times, the songs that make it to big Spotify playlists have been tested on the smaller ones. They primarily look at Spotify data like plays, skips, and finishes to decide how well a song is performing. If your song performs well you have a greater chance of getting on playlists and staying on playlists for longer. It’s also important to note that some Spotify playlists are curated by Spotify playlist curators, while others like Fresh Finds use an algorithm to populate the songs based on each user’s particular tastes. Next we have the major label-owned playlists. Sony owns Filtr, Warner owns Topsify, and Universal owns Digster. These playlists get a decent amount of real estate on the Spotify browse page and are often used to plug label artists in order to get some plays and hopefully land a spot on a Spotify playlist. And finally we have playlists that are curated by independent spotify playlist curators. I’m grouping these all in the same category but there’s a pretty big range here. Indie labels, big radio stations, and big-time music bloggers own some playlists. Others might be owned and curated by Joe next door. Getting your songs on Spotify playlists is going to be a game of working your way up the ladder we just talked about. There’s a lot you can do here, so let’s go through some ideas one by one and some ideas that will show you how to get your music noticed. Creating a Spotify for Artists account will instantly get you verified, which can only help boost your credibility. Plus, you’ll get access to all kinds of cool features like analytics and notifications when you’re music is added to playlists. Keep track of this data as much as you can and try to notice trends. What causes you to get more streams? What causes you to get more followers? The easiest thing you can do is to promote your music on Spotify and encouraging your fans to follow you and listen to your songs on the platform so you can boost Spotify plays. Remember, many Spotify playlists look at data like plays, finishes, skips, and listen duration, and many individual playlist curators will want to use tracks that are already getting some love, so anything you can do to get some social proof behind your songs can only help you in the long run. Share links to your Spotify page on social media. Include a link on your website. Maybe send out an email here and there encouraging fans to follow you. That being said, the more active you can be on Spotify in terms of releasing new music, the easier it will be to get fans excited about following you. Maybe opt to release a new single every few months to keep the buzz up. Next, you should start creating your own Spotify playlists to promote your music. Again, this just gives you another reason to share Spotify links out to your fans. Try curating playlists based off mood or activity and include tracks from bands and musicians you’re really digging right now (and sprinkle a few of your songs in there as well). Don’t go overboard with plugging your own songs here. You want these playlists to feel authentic. Another cool idea is to collaborate with a bunch of musicians on a playlist. Come up with a cool idea or a theme, add in some of your songs, throw in other songs, and play the part of a radio DJ. When you collaborate like this, you’re exposing your playlist (and your songs) to a bigger audience, which means more fans and more plays. Before you start pitching, you need to figure out what playlists you’re going to target. Do some searches with keywords that fit your genre and musical style. And then, start compiling some of the best fits into a spreadsheet. Include the playlist name, a link, the follower count, the owner, and any contact info you can find. It isn’t too difficult to get in touch with Spotify playlist curators since most link up their accounts to Facebook. The key is to approach them with the intention of forming a relationship. Many playlist owners will get tons of generic emails and messages each day from hopeful artists looking to make it big on Spotify. The better approach is to connect with them, compliment their playlist, and maybe suggest a song or two (not your own) that you think would fit. Pitch your music only after you get an authentic dialog going. Remember, they are people too with their own agendas, so treat them with respect. You’ll be more successful with this strategy if you start small and work your way up the ladder. Someone with a playlist with a few thousand listeners will be much more open to your pitch than someone who has hundreds of thousands of followers. Once you get a successful track record you can start moving up. Keep in mind too that playlist owners are always looking out for fresh new tracks to include. Chances are, if you get some placements on other playlists, you may very well get included in others. When your song gets placed on a playlist, do everything you can to support that playlist and ride the wave. Share out a link to social media telling fans how awesome the playlist is. Especially when you’re dealing with independent Spotify playlist curators, giving back is a surefire way to form a good, long-term relationship. A lot of music bloggers have their own Spotify playlists, and getting a good review or two can potentially get you a spot on their playlists. You can now submit new releases directly to Spotify for consideration in playlists through your Spotify for Artists account. With a few caveats. The track must be unreleased and you need to submit it at least 7 days prior to the scheduled release date. You can only submit one track at a time (you can submit a new one after your first track is officially released). And finally, you need to submit information and data along with the song. This includes information like genre, mood, instrumentation, and cover/original. Spotify will use this information coupled with the data they already have compiled on you and your music to potentially find a place for it on playlists. So we answered the big question: how to get your music on Spotify playlists. And you’re getting a decent amount of streams and getting some success on Spotify, now what? Let me make this clear right now – getting tens of thousands of plays on Spotify does not necessarily equate to getting more fans. There are plenty of artists who have gone viral on Spotify – who make a decent living from Spotify revenue – but can’t even fill their local venue. Spotify is NOT in the business of helping artists grow their fanbase. They’re in the business of getting people to listen on their platform and pay for the Premium service. I know it’s harsh, but it’s true. That means it’s up to you to ride the wave of any success you may get on Spotify. You need to do everything you can to turn those listeners into fans and supporters. Make sure you have social media platforms set up, a website, and an email list at the very least. These are places you can direct Spotify followers and listeners to connect and start building that artist-fan relationship. If you want more music marketing guidance, download this free ebook. You’ll get a roadmap showing exactly how different elements like social media, email, and your website come together into a music promotion machine that will help you grow your fanbase and make more money. You’ll also get 3 social media checklists with easy post ideas you can use on your own social channels. The New Artist Model is an online music business school for independent musicians, performers, recording artists, producers, managers and songwriters. Our classes teach essential music business and marketing skills that will take you from creativity to commerce while maximizing your chances for success. Check out our popular program the Music Business Accelerator to plan your next project and drive your music forward. See what thousands of independent musicians are excited about. Learn different ways to promote your music with free lessons from the New Artist Model online music business school when you sign up for our free video training series. © 2010-present Cowboy Ventures, Inc.